I can feel it even now. The busyness creeping in as my day planner pages run out: Christmas plays, parties, the gift lists I need to make, the pretty new wreath I imagine for my front door to let everyone know there's joy inside. My brain begins to spin and it's so tempting to absorb and manage every bit of information at my fingertips. This, combined with a tendency towards gloom in the winter months, is my recipe for joylessness. But I hear God's voice calling me to rest and to quiet, to draw near to Him over the next month as we celebrate the Advent season. We've been celebrating Advent in earnest as a church for a few years now, and I have yet to do it really well, but I'm learning. I wanted to hop on the blog today and share a few resources that can help you celebrate Advent, but at the same time I'm cautious about giving you something else to scratch wildly on your already long to-do list, so before I go on, I will say . . .
We don't need SOMETHING this Christmas. We need SOMEONE. Whatever resource or tool you use this year, let it lead you to Jesus. If I can encourage you to step in out of the wind and bustle and plan how you can intentionally quiet yourself and "prepare Him room" this season, I would like to. So with all those caveats, here are a few ideas . . .
As much I can, slow down. Fewer commitments, no new projects. Simplified gifting--a combination of online and local shopping (like at my local fair trade/survivor made shop, which is also online). Scripture meditation for myself and as a family. Enjoy my kids and extended family. Puzzles, tea, snuggles, Christmas music. We love the way the Jesus Storybook Bible articulates the interwoven story of Jesus from Genesis to Revelation. It's so good for both adults and children. We've read through the reading plan with our church several years in a row. 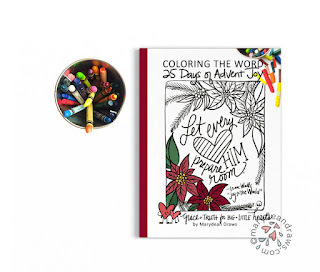 My friend Amanda created this Advent plan that combines a daily Scripture devotion + crafts for little ones. I did this with the girls when they were younger and we still have the ornaments. You can purchase the ebook and printable ornaments. 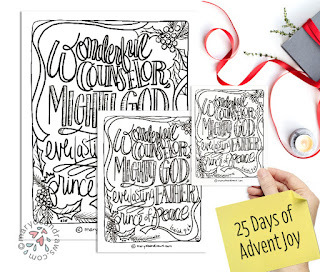 25 hand-drawn Advent Bible coloring pages in three sizes. This is a simple way to meditate on Scripture. 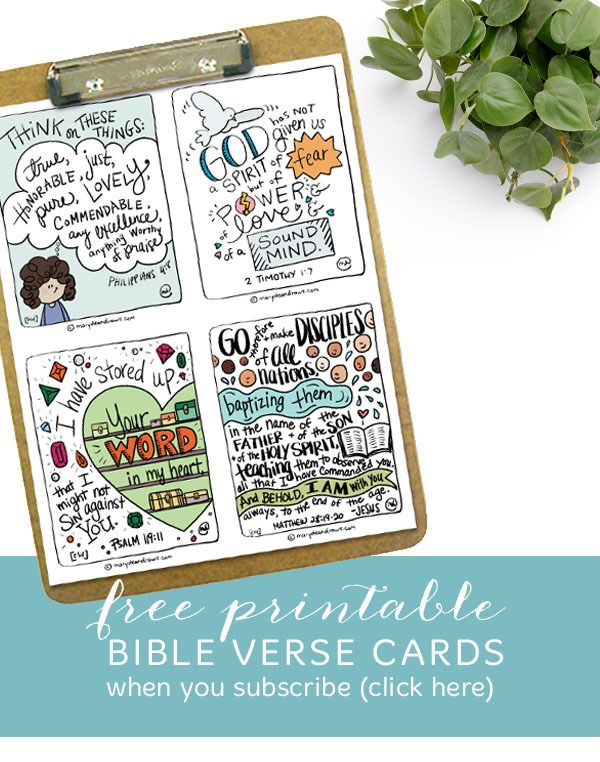 The pages are not numbered, so you can use them however you'd like--a verse a day or two or three a week. Color (or not) and display them in your home with ribbon or tape. Send them to friends and family. 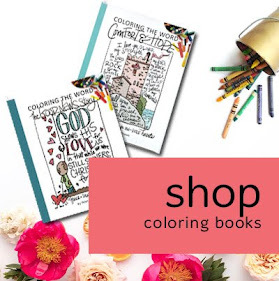 Host a coloring night and invite friends over. (p.s. 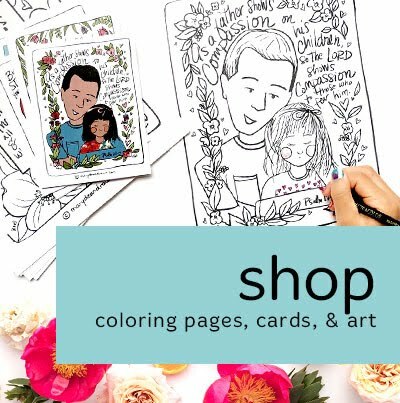 If you're signed up for my newsletter or follow me on social media, look out for my winter sale on Etsy next week). 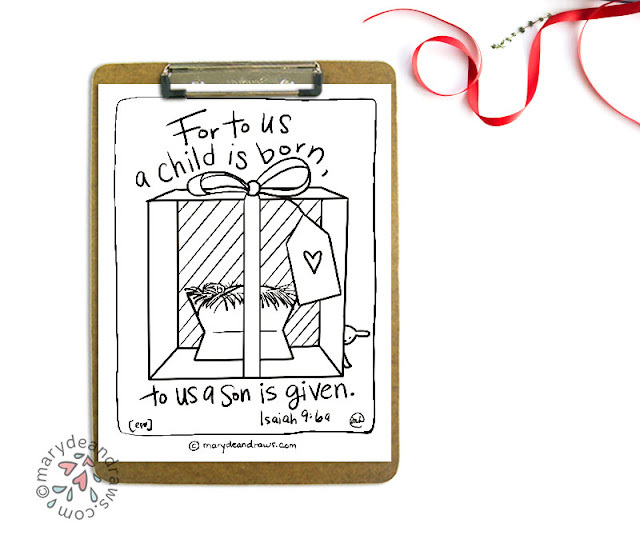 I have a whole Pinterest page where I've collected crafts, printables, and resources for Advent and Christmas that I think are fun and helpful. 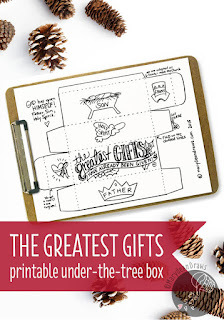 I created this printable box for under the tree a few years ago and this free "joy to the world" coloring page, which happily made its way into the new Advent set! Friends, I hope these resources are helpful and not burdensome. I hope they lead you to Jesus. I hope we can intentionally set our minds on "things that are above," because this world can look pretty bleak, especially when contrasted with the sparkle of Christmas. If you have resources you've found helpful, please share in the comments below!